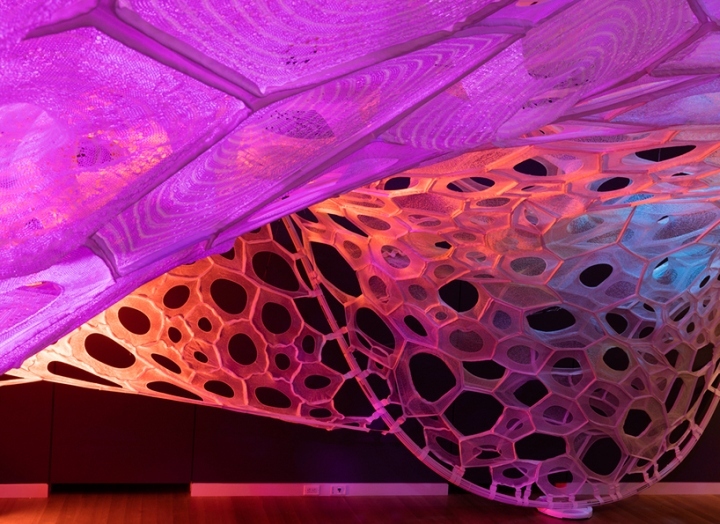 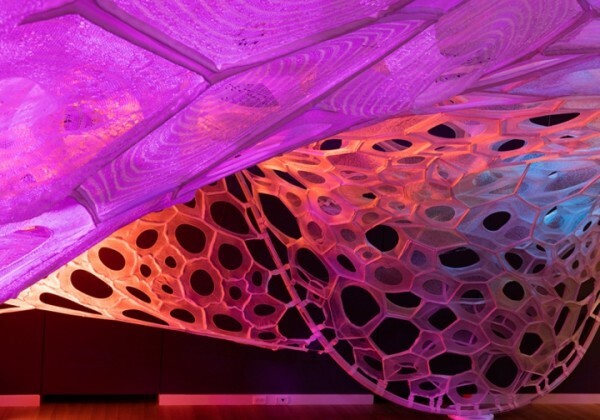 The Cooper Hewitt, Smithsonian Design Museum presents the fifth installment of its Design Triennial, this year under the theme of ‘Beauty’. 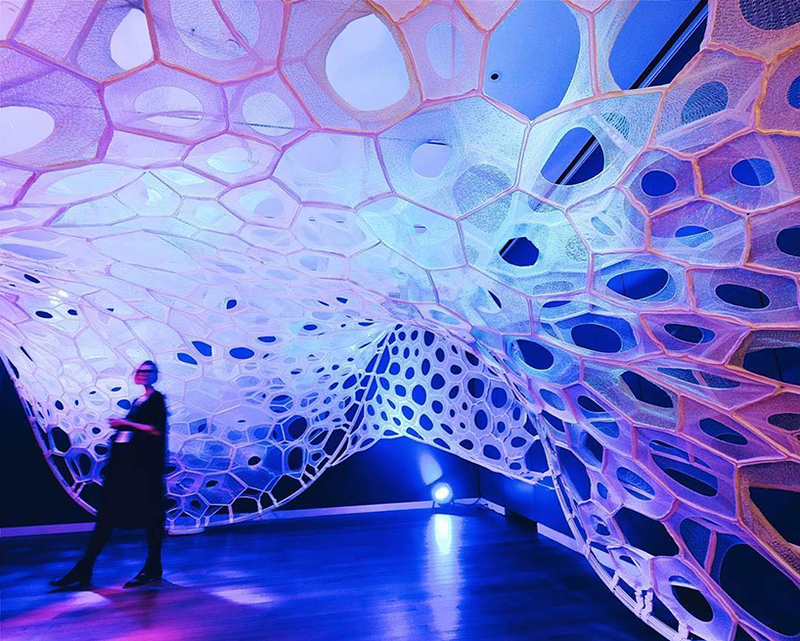 With a focus on aesthetic innovation, the exhibition features more than 250 works by 63 international designers and teams, and is organized across seven categories — extravagant, intricate, ethereal, transgressive, emergent, elemental, and transformative. 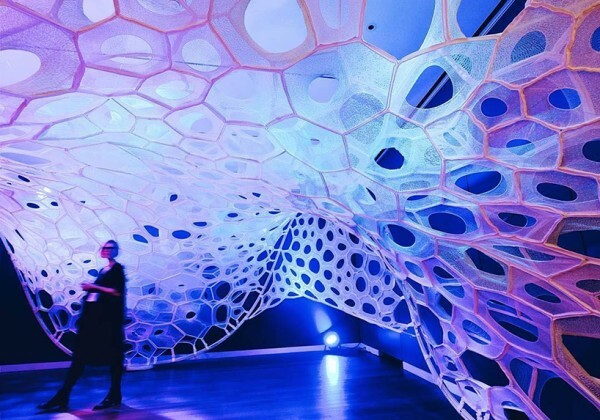 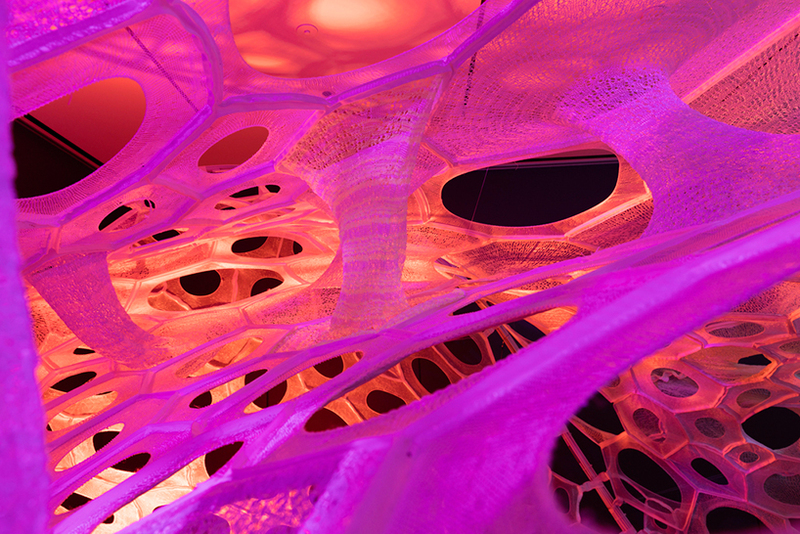 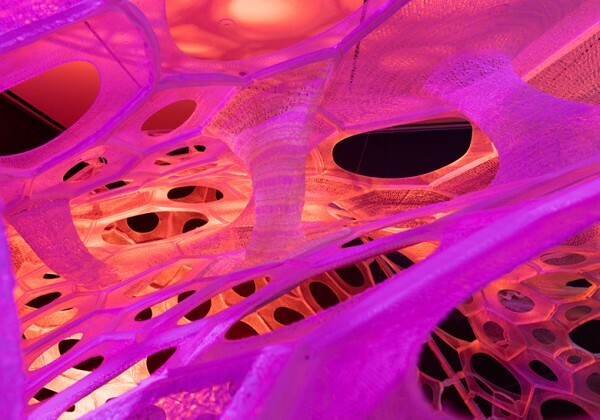 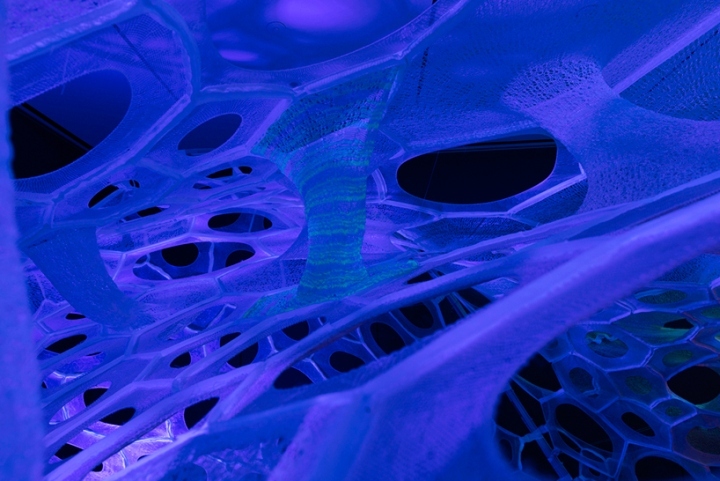 As part of the ‘Emergent’ sector — a selection of projects that employ digital systems to generate unexpected forms — Jenny Sabin Studio has conceived the ‘Polythread Knitted Textile Pavilion’ specifically for this exhibition in New York. 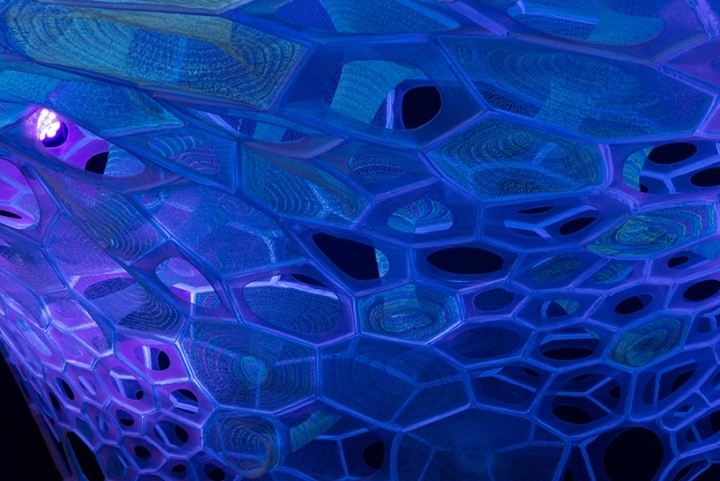 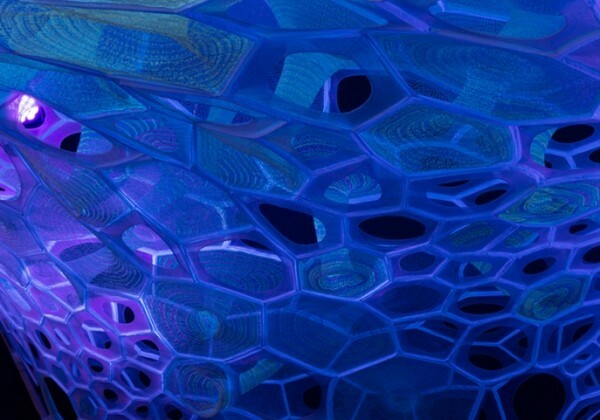 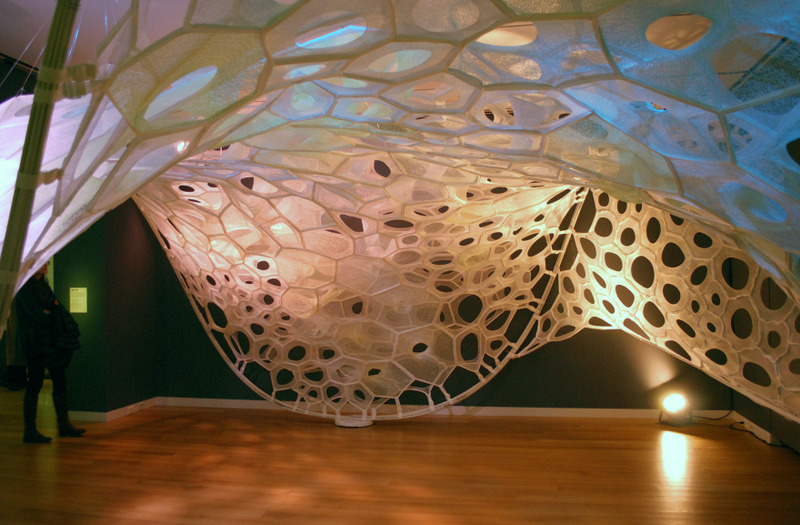 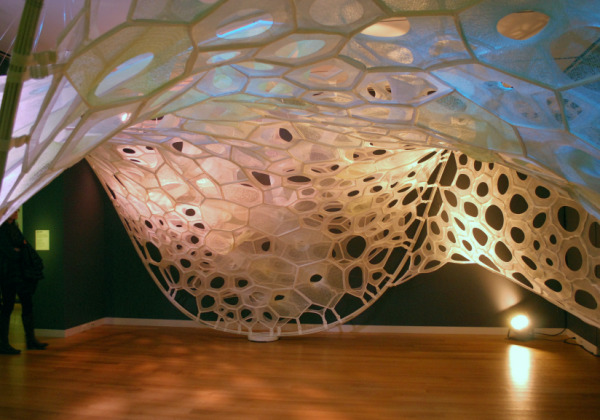 The installation’s architectural framework is inspired by both nature and mathematics, and is built from an assemblage of mediums: digitally knitted 3D elements, solar active and drake yarns, twill tape and aluminum tubing. 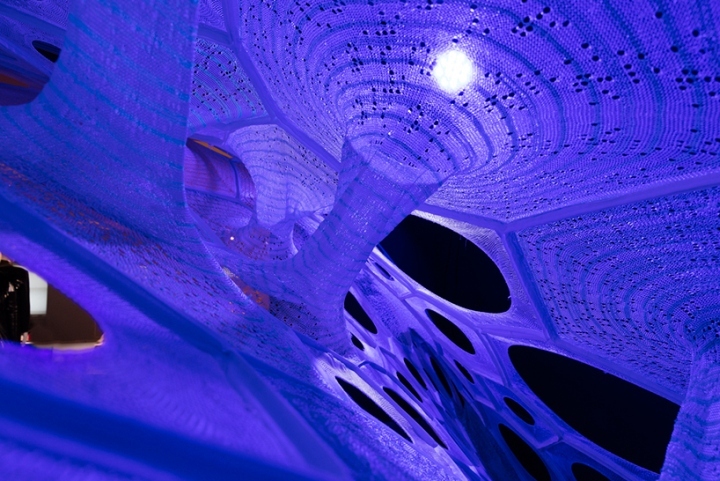 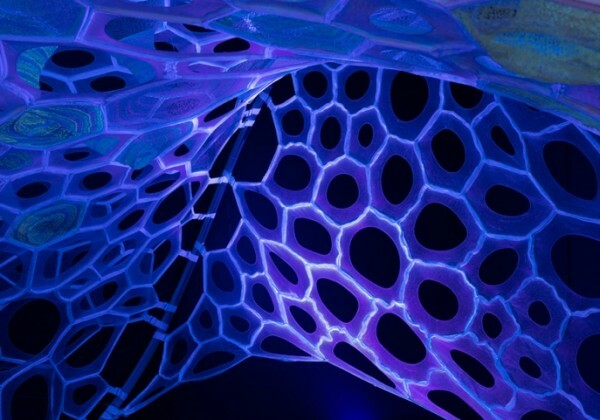 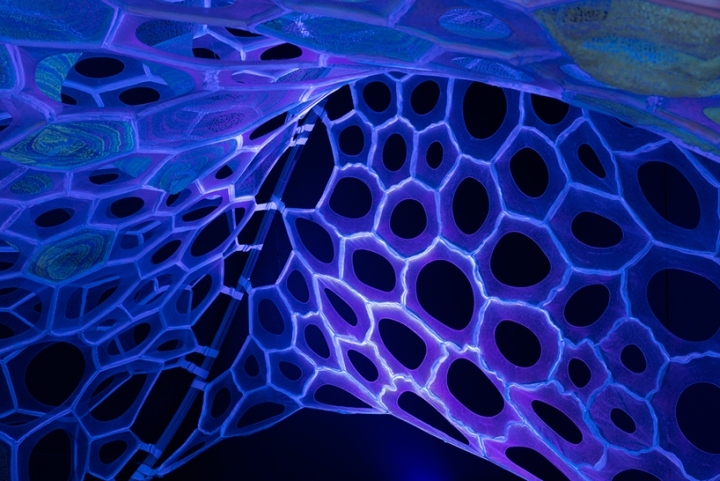 The temporary pavilion employs both photoluminescent and light activated yarns that absorb, collect, and deliver luminance. 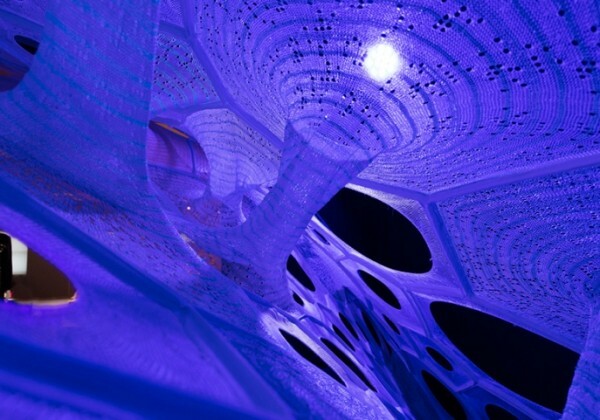 From a practical standpoint, this portable and super-lightweight structure could be used outdoors to consume rays from the sun during the day, before releasing them at night.